Lush rainforest, cascading waterfalls, white sand beaches and beautiful azure waters…a pretty nice thought, huh? These are just some of the amazing sights our guests will enjoy next year when the Disney Magic departs from San Juan, Puerto Rico for the first time ever! 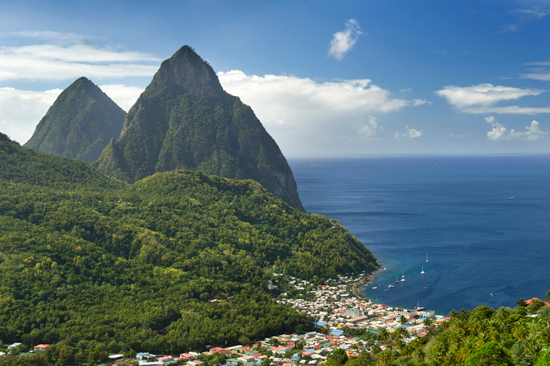 The brand-new Southern Caribbean cruises sail to the tropical islands of St. Lucia, Grenada, Barbados, St. Kitts and Antigua. Check out this Disney Cruise Line video of some of what you¹ll experience on this seven-night voyage, and tell me, are you adding it to your travel list, too? Contact us today and we can send you to the tropics! This entry was posted in Disney Cruise Line and tagged azure waters, barbados, cascading waterfalls, disney, Disney Cruise Line, disney magic, grenada, night voyage, san juan puerto, san juan puerto rico, sand beaches, southern caribbean cruises, st kitts, st lucia, tropical islands, tropics, voyages, white sand on March 12, 2013 by John Donahue.